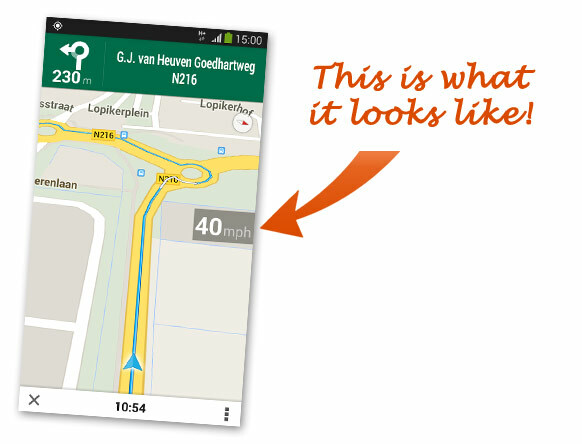 It's an easy-to-use, elegant Android application to display a speedometer in Google Maps or any other app of your choice! You sometimes ride your car or grab your bike. 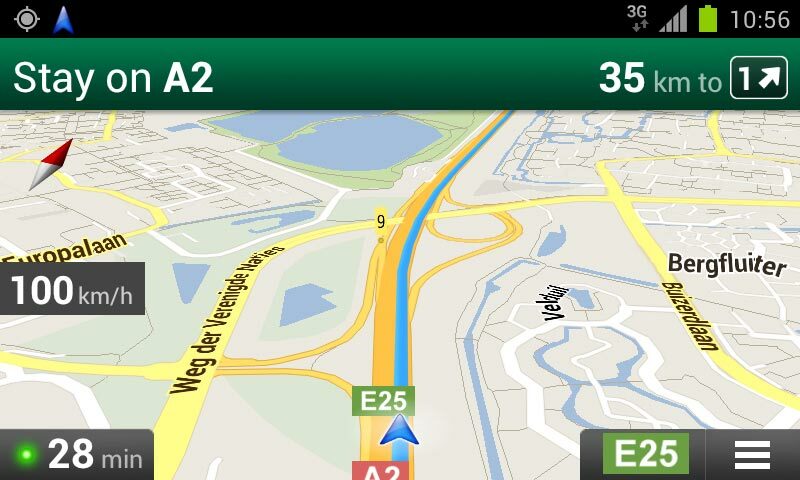 You regularly use Google Maps (or Google Navigation) for navigation on your Android device. And you have been searching for a feature to show your speed in Google Navigation or Google Maps on your Android device, but you were unable to find it? Here's the thing: you won't find it! 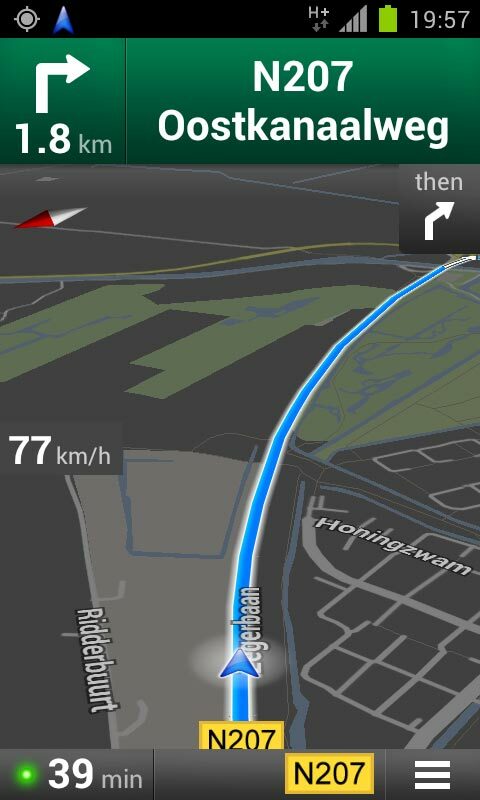 Sad but true: a feature to display your speed in Google Maps (or Google Navigation) is not present. But we are here to help you out! 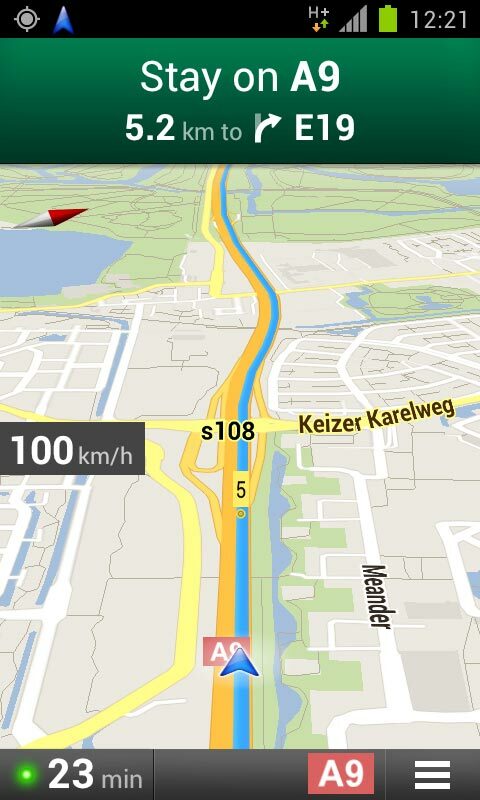 We decided to develop a simple mobile application to show a speedometer in Google Maps (or Google Navigation). After the last update, Maps Speedometer can be activated for every app you want. It displays a small overlay with your speed in an elegant black box on the left side of your phone's screen. It automatically shows up as soon as Google Maps (or Google Navigation) is launched. 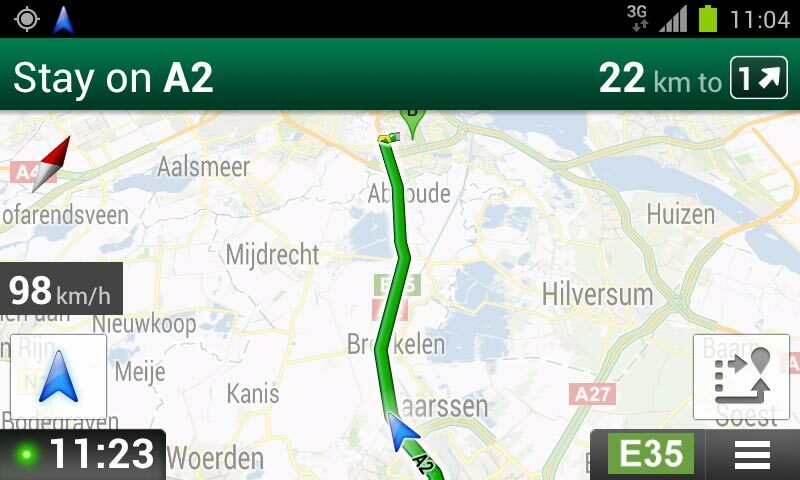 Visit Google Play Store to download Maps Speedometer to your Android device. After downloading and installing, launch the app. 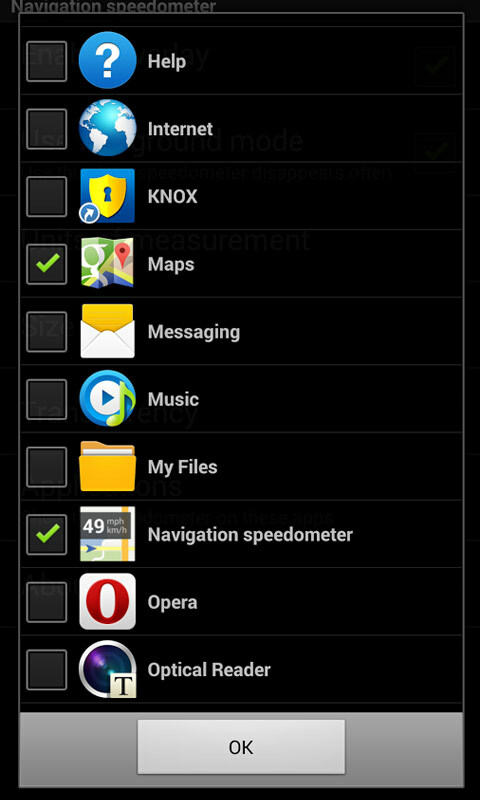 The home screen appears, you can change your settings here and choose in which apps you want Maps Speedometer to show up. 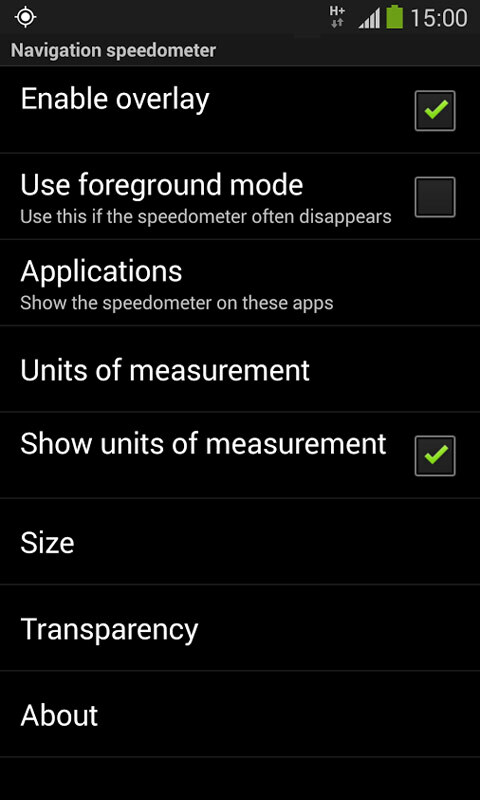 Maps Speedometer will show and hide automatically. For more detailed instructions, visit 'How to use'. Be the first to get the latest release! Give us your like on Facebook and we will be happy to keep you informed about the latest releases and news on Maps Speedometer and other hot topics about navigation. View and download the app at Google Play.